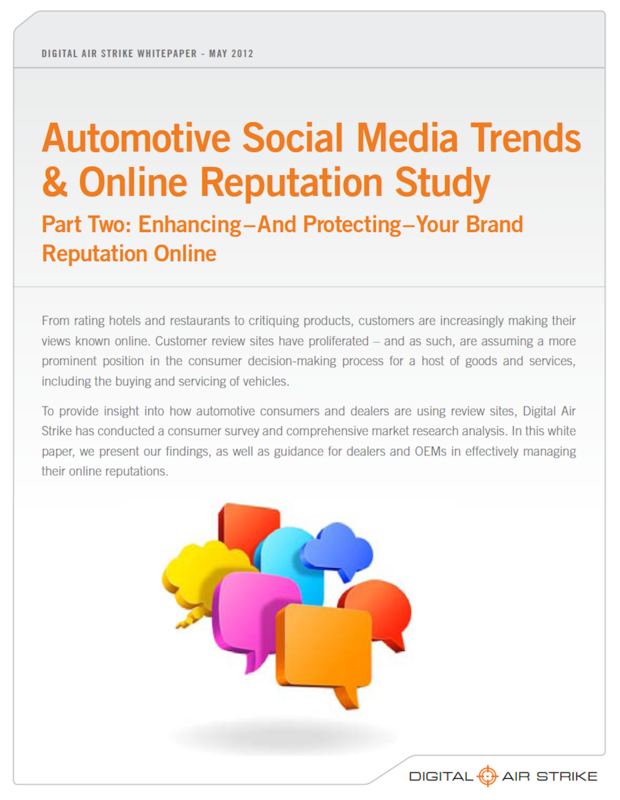 In 2012, Digital Air Strike was two years a startup and had had some success in the highly competitive space of automotive social media. The market was hot and nearly a dozen companies had entered, but no clear leader had emerged. There was a huge opportunity to establish leadership by publishing original research. 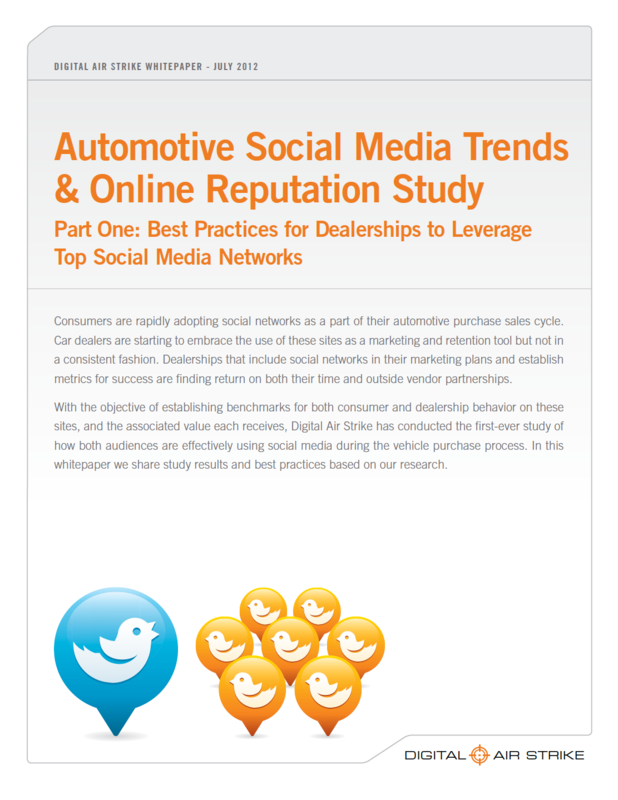 I created an in-depth survey of how cars buyers were using social media and got over 2000 consumers to complete it. 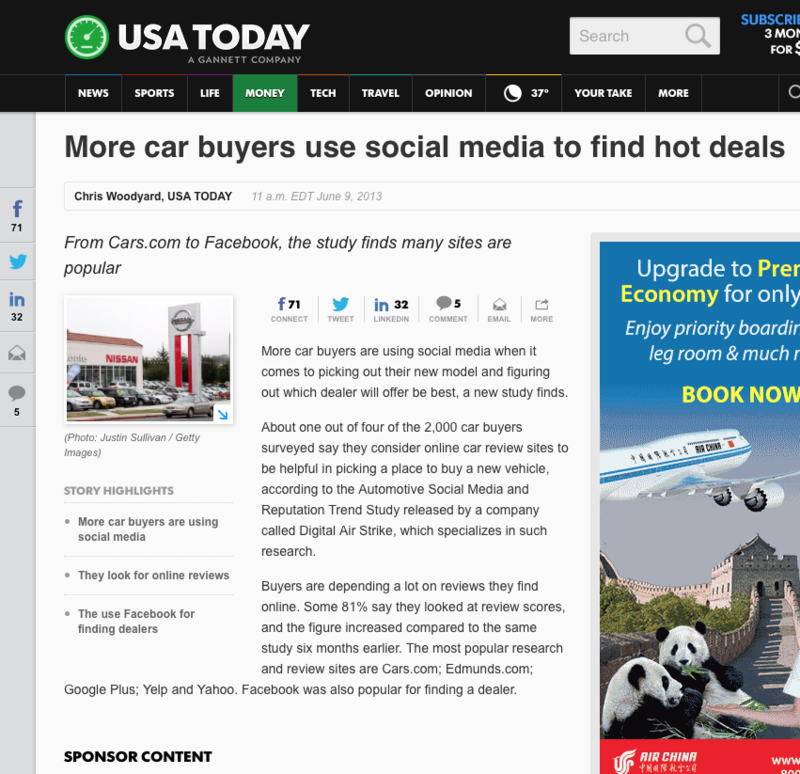 I came up with over a dozen statistically significant findings, all of which made it clear that social media impacted purchasing decisions. The campaign was so successful that we made it a bi-annual tradition, and Digital Air Strike quickly established itself as the undisputed market leader — all while generating many hundreds of leads.